On Sunday, 26th January, 2014 on foot of the mandate of the Bishop of Cork, the Right Reverend Dr Paul Colton, the Dean of Cork, the Very Reverend Nigel Dunne, installed the Reverend Daniel Nuzum to the Prebendal Stalls of St Michael and Inniskenny, in the Cathedral Church of St Fin Barre, Cork. The Dean and Chapter of the Cathedral Church of St Fin Barre, Cork. 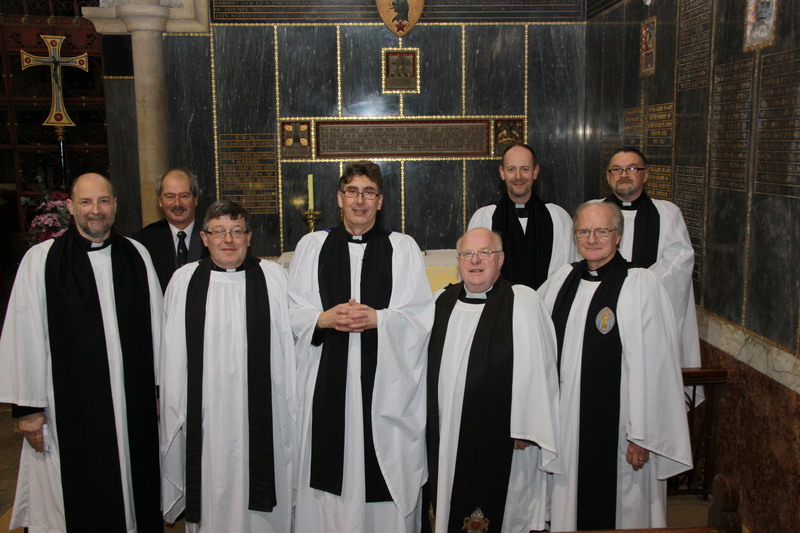 Front row: l-r the Precentor, the Very Reverend Alan Marley; the Chancellor, the Very Reverend Christopher Peters; the Dean of Cork, the Very Reverend Nigel Dunne; the Archdeacon of Cork, Cloyne and Ross, the Venerable, Robin E. Bantry White; the Treasurer, the Reverend Canon David Williams. 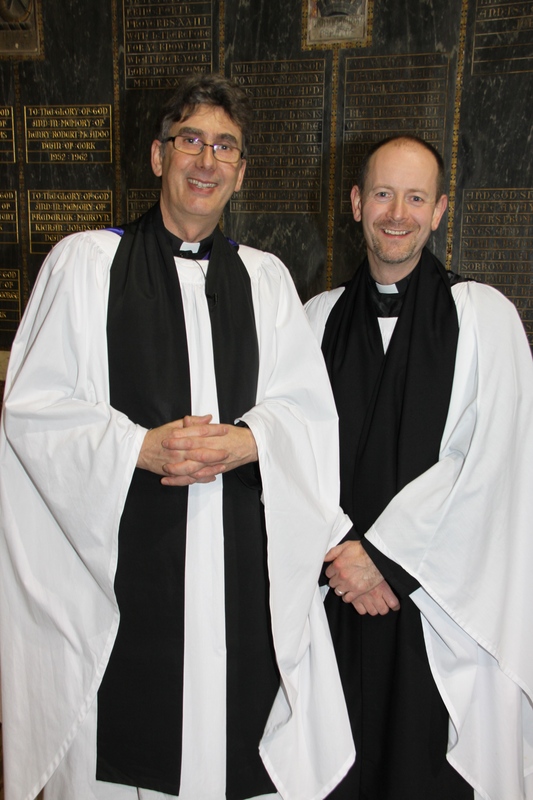 Back row l-r Mr John Jermyn, Chapter Clerk; the Reverend Canon Daniel Nuzum; and, the Reverend Canon Paul Willoughby. Photo: Paul Colton. This entry was posted in Cathedral, Church Services, Diocese, Installations. Bookmark the permalink.